Even though we live in an age of blogging, some of us still prefer putting our thoughts down so only we can see them. For those who reject the traditional locked notebook model of a diary, you will be pleased to know that the Secret Diary is completely digital. The Secret Diary looks like a USB Flash Drive, but that’s just its cover. It lives up to its name as the designated user must enter in a 4 digit Pin number on the built-in numeric keypad in order to get in. The data is stored via 256-bit AES cypto. Unfortunately, there is another security feature that will hopefully never get used. You see, if someone tries to hack into someone else’s Secret Diary, it will implement a self-destruct procedure that will erase all the sensitive information. Yeah, that would be too bad if that happened. Maybe the user should buy another Secret Diary for a backup. 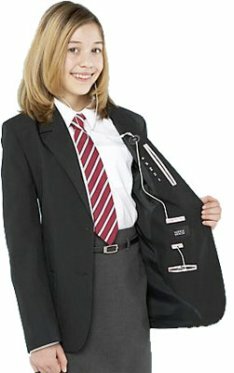 Reflecting today’s techno obsessed society, clothing maker Marks and Spencer in the “old country” have created a new line of school uniforms which have iPod/MP3 compatibility. I’m sure teachers will just LOVE that. 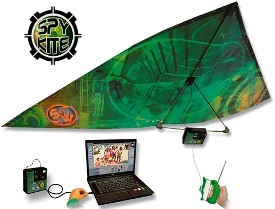 Spy Kite is Toy for James Bond Jr. I don’t know if you’ve ever watched a show on the USA Network called Burn Notice, but it is about a spy that was fired by his particular spy organization. He is now forced to do A-Team-ish jobs for clients in order to make a living. 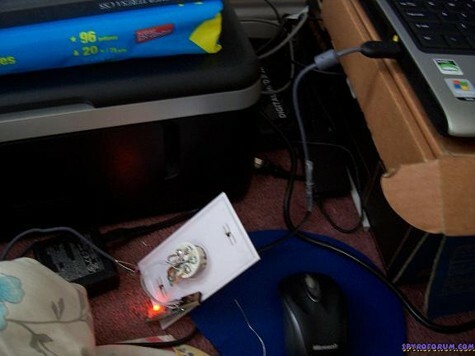 I bring this show up because the main character, Michael, makes his own spy equipment from old cellular phones and GPS devices, and the Spy Kite is low-tech spy gear that he could just buy instead of making. Read moreSpy Kite is Toy for James Bond Jr.
We’ve all been mesmerized by the local news coverage of some bad guy fleeing police in a high speed chase. And like watching car racing and hockey, we just wait for the inevitable crash that will end the pursuit. And soon enough, it comes and the foolish perp is taken away in cuffs while his car is a smoldering mass of twisted metal. But lately, police are catching all kinds of flack for pursuing these car chases at the endangerment of the local populace. Some have even taken to letting the guy go, rather than risk a crash and human lives which result in the inevitable bevy of lawsuits. But now, they can track the bad guy, rather than chase him, with a new projectile GPS transceiver which will allow the helicopter and units monitoring to simply hang back and wait for the perp to get where he’s going. I’m certain some of you are probably stumbling over the title of this article. What the heck is an Unshredder? The opposite of the Shredder, the Teenage Mutant Ninja Turtles greatest enemy? 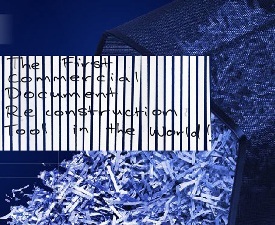 Actually, the Unshredder is something that helps a user “unshred” shredded documents, something spy agencies have been doing for years. All a user has to do is just use the scanning technology with the device’s artificial intelligence, and that which was shredded will be made whole once again. Granted, the work of restoring a shredded document is only made less tedious as a user must paste the torn strips of the document onto a transparent tray, and then scan both sides. 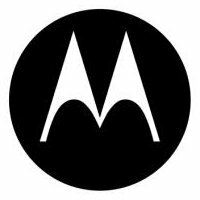 Motorola has the honor of announcing its new smallest body-worn TETRA Covert Radio, known as the TCR1000, offering full featured TETRA radio functions for users who are involved in covert operations. This new radio is thin enough to be concealed in light clothing without ever raising so much as an eyebrow, offering secure communications with encryption features that is touted to improve operational effectiveness in the field. The TCR1000 is so small that it tips the scales at a featherweight 180 grams, making it light enough that you might even forget it is there in the first place. Being this light also makes it a snap for officers to conceal their equipment during dangerous covert operations, making them one with the crowd in order to ease the burden of their duties. I’ve always wondered what I would do if I came into some vital information that needed to be hidden from prying eyes. You know the kind, the data that could potentially bring down the government and bring the world as we know it to a standstill. Sure, I have no idea how someone like me would come into such information, but I’ve seen enough movies to know it could happen. Thankfully I now know that I would hide it in an unused phone jack. Remember the scene in INDEPENDENCE DAY when Jeff Goldblum places a satellite like dish on the roof of his dad’s car and triangulates the signal of his wife’s cellphone to determine where she was in the White House? 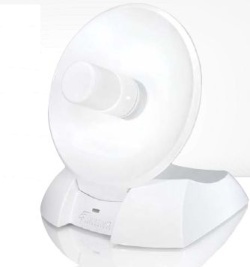 His dad asks him how he can do that and he replies “all cable repair men know how to do this, pop.” Well, the Hi-Gain USB Wireless-300N Dish Adapter from Hawking Technologies won’t triangulate a signal in the White House, but it will boost weak WiFi signals in areas where a signal isn’t very strong to begin with. 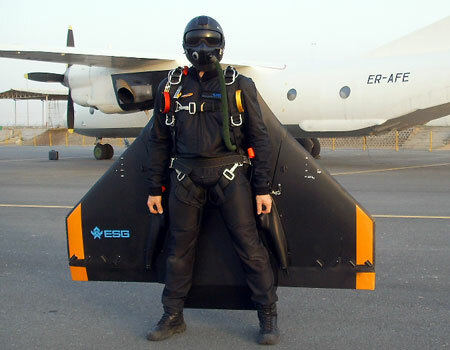 Back in 06 we reported on the ESG Gryphon Personal Flying Wing, and it had military applications written all over it, or, a cool opening scene to the next James Bond Flick. The latest version, rechristened the Gryphon Attack Glider by SPELLCO (the new company name), has slimmed down the weight by 30 pounds and also offers the ability to carry up to 100 pounds of onboard gear and even carry weapons hard points for mini missiles and bombs. Yowsa. And with a maximum glide speed of 135 MPH, that makes this not only an attack glider, but a serious special ops platform for attacking well behind enemy lines.